After closing out an incredibly strong 2013, Melco Crown Entertainment (MPEL) announced their intention to pay out a special dividend to shareholders in the amount of $191 million. Today the company shared their plans regarding their dividend payouts moving forward, announcing that Melco Crown will begin paying out quarterly dividends of around 30% of consolidated net income attributable to the company. The company cited their increasingly strong financial position bolstered by significant growth in earnings and cash flows at City of Dreams Macau, as reason to institute their new dividend. The special dividend that will be paid in in the amount of $191 million, translates to approximately $0.34 per ADS. As evidenced in their most recent quarterly report released two weeks ago, City of Dreams Macau continues to grow at a staggering pace. In Q4 2013, City of Dreams generated revenues of $1.1 billion, up from $772 million in the previous year. The jump in revenues led to Q4 2013 adjusted EBITDA of $347 million, a 58% jump year over year. These gains were driven by a 57% rise in mass table games revenue. City of Dreams non-gaming revenues during the quarter rose 10% year over year as room occupancy rates improved 2% to a staggering 98%, average daily room rates also increased by 2% to $193. During 2013, market wide revenues in Macau rose 19%. Melco Crown was able to grow at an even faster pace as the mass market segment that City of Dreams caters to continued to deliver above-market growth. This trend should be expected to continue for the foreseeable future as infrastructure improvements (Hong Kong – Zhuhai – Macau Bridge, and the Macau Light Rail System) enable more and more middle class Chinese to travel to Macau. At their most recent conference call Melco Crown reiterated that both their City of Dreams Manila and Studio City Macau resorts are on budget and on track to open at their previously planned dates. During Q4 2013 MPEL announced the addition of the Nobu Hotel to their City of Dreams Manila complex, adding to the collection of luxury brands that this new world class resort is already comprised of. Scheduled to open late this year, the City of Dreams Manila project gives Melco Crown an early and dominant position in the new Philippines’ gambling market that is expected to eclipse Las Vegas in revenues by 2017. Melco Crown’s cinema themed mega-resort, Studio City Macau, remains on schedule to open in mid-2015. Studio City Macau will lie on the premier location on the Cotai strip (think Bellagio in Las Vegas), and will also cater to the premium mass market crowd that Melco Crown has had so much success with at City of Dreams. The company also remains on track with their plans for a fifth and final tower at City of Dreams Macau opening in late 2016 – early 2017. 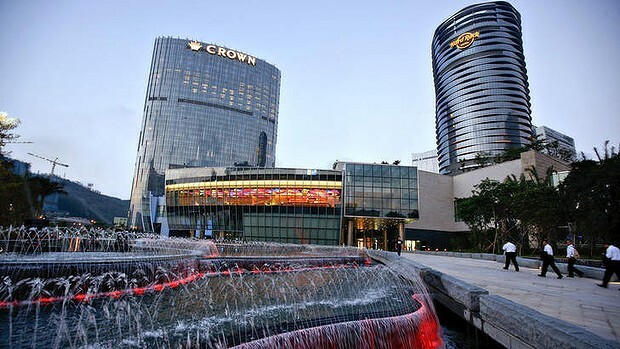 Melco Crown Entertainment was our very first buy recommendation in September 2013 when shares traded at $31.60. Despite shares appreciating 35% since our initial highlight of the company, I continue to view MPEL as a strong buy and the top play in Macau (Las Vegas Sands is a close second). Gaming revenues during 2013 for the entire Macau market easily continued their trend of outperforming analyst expectations, and 2014 appears to be off to a similar start with 20% year over year growth being reported thus far for the month of February. Management’s decision to implement a regular quarterly dividend with two massive projects still in the pipeline is a testament to the extremely strong financial position Melco Crown has achieved thus far and to their confidence in the future of the company as a whole.